Lester Holt is a multiple award-winning journalist, newscaster, reporter, and actor who has worked for notable media houses like WCBS TV, CBS, MSNBC and among others. His remarkable feat in journalism has endeared him to the hearts of many and earned him some awards and recognitions. Read on to get acquainted with his biography, ethnicity, salary, height, his parent as well as his immediate family. Lesley Holt Don Junior was born in Marin County, California, on the 8th of March 1959. He grew up with four brothers although not much is known about them apart from his half-brother Mike Swanigan who was an employee of an Alaska radio station and the family moved around a lot because of the nature of his father’s job. 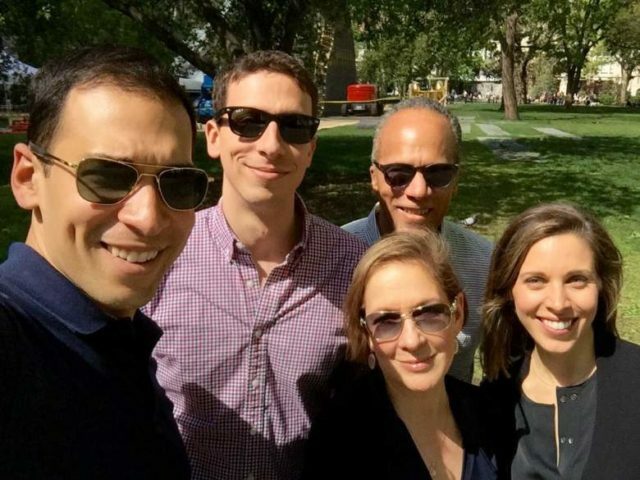 Lester Holt Jnr. is an African-American but has a mixed ethnicity, Jamaican, Scottish, English and Indian ancestry and he attends the Manhattan Church of Christ. Holt grew up partly in Sacramento and attended Cordova High School where he made daily announcements on the school’s public address system, he has always been interested in broadcasting and journalism and was once kicked out of a radio station his brother had helped sneak him into when he was 11. He graduated from high school in 1977 and moved to California State University to study government. While in college, Lester worked as a disc jockey for a Country and Western station but he realized the only way he was going to get a full-time job was if he reported the news. He nevertheless maintained the job throughout his university days. Lester Holt became a reporter at WCBS-TV in 1981 and later moved to Los Angeles, to become a reporter and an anchor of a weekend show at KNXT in the following year. He moved back again to WCBS-TV in 1983 assuming the status of a reporter and program anchor. He spent 14 years at WBBM-TV in Chicago, where he anchored the evening news. The journalist is known for his unique baritone voice, he is an active reporter who has given reports from troubled zones like Somalia, Haiti, and even Iraq. Lester appeared on an exclusive coverage of North Korea for NBC news on the 24th of January 2018 where he reported from a ski resort where the South and North Korean Olympic athletes were supposed to train together. He earned the nickname Iron Pant because of his known bold manner of asking questions to find answers in responses that are hard to come by. 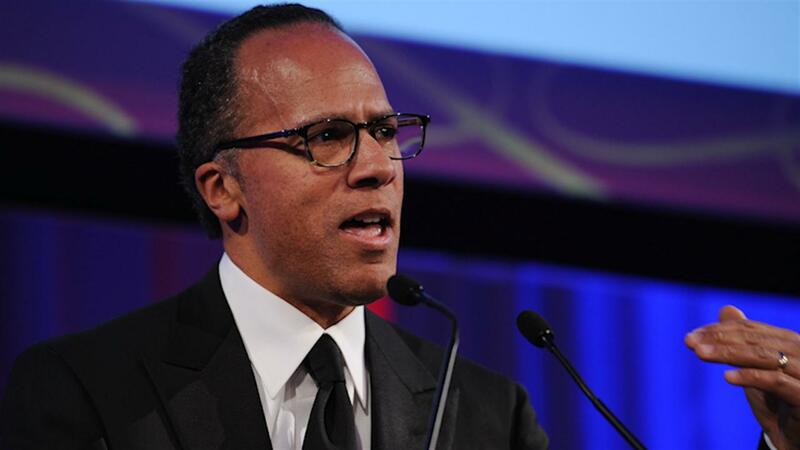 Perhaps, as a result of this, Lester Holt became the first black man since 1992 to moderate a U.S presidential debate when he moderated the 2016 presidential debate between Hilary Clinton and eventual winner Donald Trump. The award-winning reporter was once enmeshed, in a controversy with Donald Trump. He was accused of tampering with Trump’s tape on the Russia investigation interview where he discussed the sack of the FBI Director in May 2017. The president had no proof to back up this claim and the video had been online ever since then. The NBC news has made no comment on the controversy citing a “No Response” comment through their media spokesperson. The avid broadcaster has accumulated lots of notable awards and honors for his contributions in broadcasting and journalism. His awards include the Robert F.Kennedy Journalism award in 1990, doctorate degrees from Pepperdine University and California State University. Holt was inducted into the California hall of fame on 28th October 2015. In the following year, he won the Alan B. Dumont broadcaster of the year award from Montclair State University and Journalist Of The Year Award from the National Association of Black journalist all in 2016. The reporter has also been featured on movies like The Figurative (1993), U.S Marshals (1998) and Primal Fear (1996) as well as the popular Television series; Law & Order Special Victim Unit among others. Lester’s net worth is estimated to be $12million while he earns an annual salary of $4.5million from his job as a broadcaster. Being that he has not retired yet, his earning should still be on the rise which means that these figures won’t remain so for long. Lesley Holt Jnr was born to June DeRosario and Lester Don Holt Snr, his father was an Air Force master sergeant while his mother was a regional planner. Don Holt Snr. was an African-American while the mother is said to be of Jamaican ancestry. Lester Holt is happily married to Carol Hagen, a real estate agent whom he met in 1980. The pair tied the knot 2 years after In 1982 on the 8th of May and have remained married ever since despite the strain and erratic nature, of their various careers, a feat so rare in the world of today. They were with blessed with two amazing and outgoing children; Cameron and Stefan Holt. All boys, the couple do not have any daughter but they do have a daughter-in-law who is married to Stefan their son. The two met at Pepperdine University in Malibu before they married in July 2012. Morgan their daughter-in-law, gave birth on September 5, 2017. Cameron the last born of the Holt family is a financial analyst who holds two degrees from Stanford University, he works for Morgan Stanley as an equity derivative trader. Lester Holt stands at a height of 1.87 m or 6 feet 13 inch.